Intensive cattle farm. 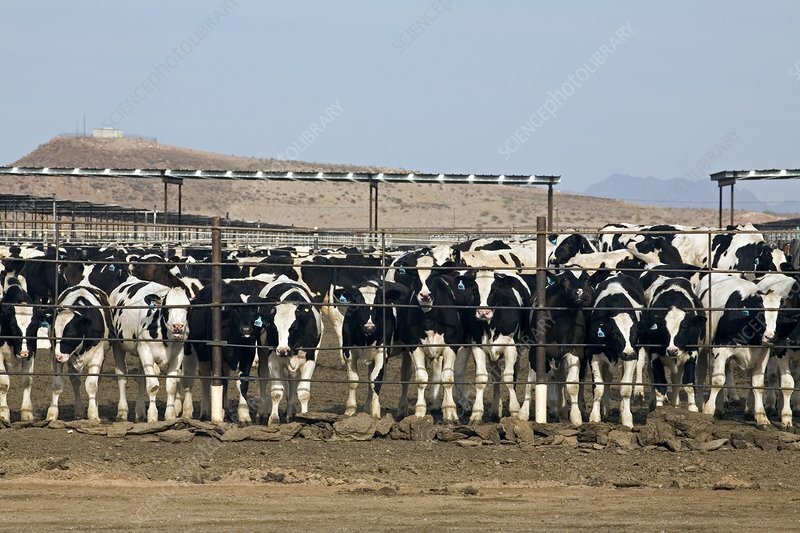 Cattle in a feedlot at the McElhaney Cattle Company in the Arizona desert. Feedlots are used to bulk up beef cattle before slaughter. This feedlot houses over 100,000 cattle. Photographed in Wellton, Arizona, USA.